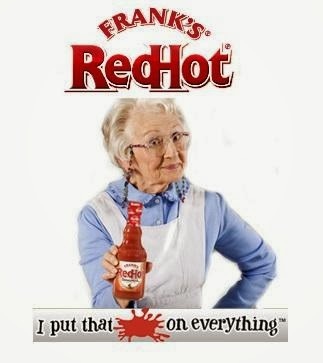 Franks Red Hot Sauce! Try it and let me know what you think! Fill a big stock pot with water. Clean and rinse whole fryer or chicken pieces. Add chicken, I like to add a little seasoning salt, pepper and Franks Red Hot Sauce. Wash hands after handling chicken. Let the chicken come to a boil, then reduce heat and simmer chicken until done. Cook whole fryers about 2 hours and chicken breasts or pieces 45-50 minutes. Remove chicken from pot and place on a plate to cool. Drain the broth through a strainer and reserve. Cook the spaghetti per package directions. Instead of cooking the spaghetti in water, we are going to use the reserved chicken broth. Add spaghetti and bring to a boil, reduce heat and simmer noodles until al dente. While spaghetti noodles are cooking start de-boning the chicken (make sure it is cool enough to handle) or break chicken breasts into smaller pieces. Chop up onion and set aside. Melt margarine in a small skillet and add the vegetables. Sauté onion until they are tender and translucent in color. When noodles are done, drain and set aside. If you are not using canned chicken broth, reserve 2 cups of the cooked broth. In a large bowl, combine cream cheese, chicken broth and cream of chicken soup and Franks Red Hot Sauce to taste. Place in microwave and cook on low for 5-7 minutes or until mixture is smooth and cheese is melted. (You can also use the defrost setting). To the cheese mixture add cooked onion with butter, spaghetti noodles and chicken pieces. Stir to combine. Spray a 9x 13 inch baking dish with cooking spray and add combined mixture. Top finished casserole with 8oz of shredded cheddar cheese. Place casserole in a preheated 350 degree oven and bake for about 45 minutes or until cheese is golden brown and casserole is bubbly. Remove from oven let cool and serve. Can me topped with more Franks Red Hot Sauce, cheese and sour cream! Serve with a salad and bread. 2 cans (12.5 oz. each) SWANSON® White Premium Chunk Chicken Breast in Water, drained. 1.BAKE wings in foil-lined pan at 500°F on lowest oven rack for 20 minutes until crispy, turning once. 2.TOSS wings in sauce to coat.